Today, readers are responding to news that the Ontario government under Doug Ford is promising to double the length of Toronto’s downtown relief line, turning it into a $10.9-billion subway connection between Ontario Place, to the west of downtown, and the Ontario Science Centre in the northeast. Readers are also responding to Jane Philpott saying Prime Minister Justin Trudeau violated federal law in expelling her and Jody Wilson-Raybould using a unilateral process. 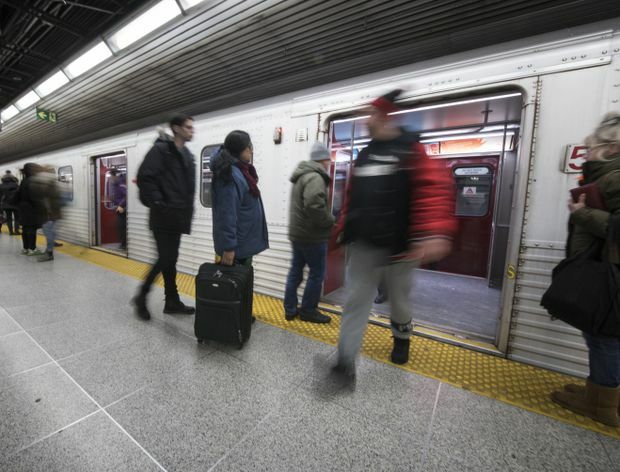 Instead of running from the Danforth into the city core, which the city has been studying as the first step of the relief line, the province’s version will start farther north, at Eglinton. After running through downtown under Queen Street, the line will veer south and finish at Ontario Place. Like it or not, Toronto is the engine of Ontario, and the lost productivity due to inefficient transportation hurts all Ontarians. We moved out of Toronto several years ago for a number of reasons - a dysfunctional city council being one. I certainly hope this actually comes to fruition, but I'll believe it when I see it. Interesting idea, one does wonder with a downtown-relief-line-type system, has the government accounted for the capacity required? What is the estimated daily ridership anticipated on a longer "Ontario Line." If it extends to Eglinton (which would be great), will we have a similar choke point at Donlands/Pape (connection point) as at Yonge and Bloor if the capacity isn't there? The unmet, pent-up demand for transit in Toronto is so great that any line that runs from Don Mills to the Bloor-Danforth, to anywhere downtown will be at capacity probably from the minute it opens. Didn't Toronto elect its own Mayor and council, who already voted years ago on a transit plan - with the Relief Line subways as the priority? Didn't the Ontario and Federal government's already commit to building it? Hasn't the planning for that project already been done, consultations, design, engineering? Ford is trying to intentionally destroy the city's most critical infrastructure project. Replaced at a late stage with a back of the napkin drawing with almost no stations, no technology. This is totally unacceptable. I am a fairly harsh critic of these folks, but, all the same, I would like to see what they are proposing before condemning it. Rail-based service to the Ontario Science Center i.e., Don Mills and Eglinton means an interchange with the Eglinton Crosstown. Depending on how this is done, that might be an excellent idea for directing ridership away from Eglinton Station. There are lots of ways to do this, some better than others, obviously. But the concept might be correct. Similarly, a downtown relief line that runs to Queen and Dufferin, and then south to Exhibition and to Ontario Place might not be a bad idea, either. An LRT from the CNE up Dufferin all the way to Yorkdale, would also be a good idea. Very heavily used bus route. Could have used electrification and steel rails a long time ago. I'd suggest that the Art Gallery of Ontario commission an exhibition: Politician's Maps of Future Transit Through The Ages. The necessary space might be an issue. Readers are also responding to Jane Philpott saying Prime Minister Justin Trudeau violated federal law in expelling her and Jody Wilson-Raybould using a unilateral process. 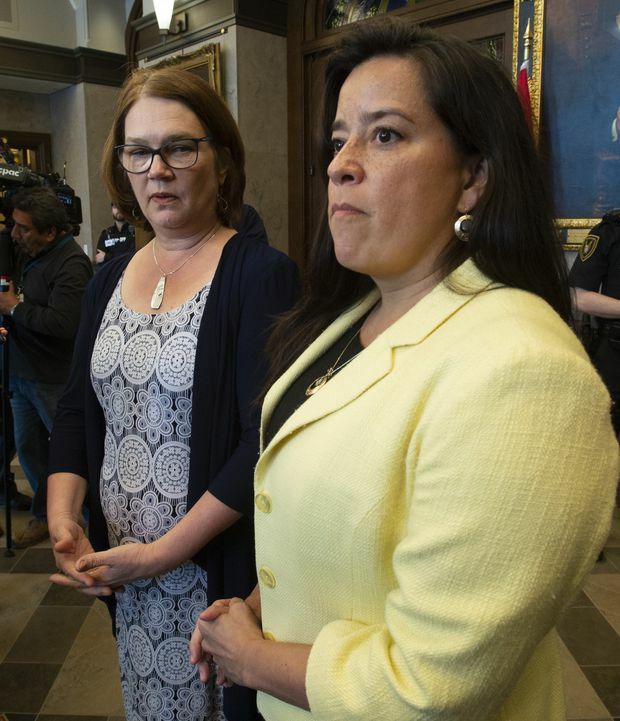 On Tuesday, Ms. Philpott asked the Speaker of the House of Commons to rule on whether her rights and those of Ms. Wilson-Raybould were violated when Mr. Trudeau unilaterally ejected them last week. The most common narrative about the Harper years is one of a power hungry leader who was a control freak that centralized power. It is therefore rather ironic that Justin Trudeau has been undone by two reforms that were undertaken by the Harper government designed to do just the opposite. The first reform is the passing of a law that increased the independence of the Public Prosecution Service. When Jody Wilson-Raybould pointed this law out to Gerald Butts, his response was that he never liked the law because it was a Harper law. Now, Mr. Trudeau falls afoul of this law that was designed to make party leaders accountable to the party, instead of the reverse... So much for sunny ways, government by cabinet and fostering diversity to give a voice to different viewpoints. It’s all been a sham. A PR exercise. Rules, regulations, law, professionalism, acting with integrity do not seem to apply to Trudeau. Ignoring legislation and legislative process is unacceptable and needs to be addressed. The Liberal party needs to rein in its leader and his advisors. Liberal members please take a look at your own values and make sure your actions in these matters are well aligned. This whole thing has gone too far - think more about governance rather than power. Your leader is power focused and it is hurting our country. I find this all very interesting. These women are not "out for revenge" or trying to bring down the Liberals. They are trying to change the party, to make it less top-heavy and more inclusive. That is, they don't want policy decisions to be made by the leader, with no input from anyone outside of his inner circle. They want to make it more possible for dissenting opinions to be heard. These are good things, and I wouldn't be surprised if a good number of the MPs were in favour of them. It's too bad that Trudeau is so stubborn and unwilling to give up control. Dear Jane Philpott and Jody Wilson-Raybould, Many of us would like to have parliament tend to the business of the nation, not your personal grievances. Kindly quit wasting valuable time and tax dollars. So much for Trudeau's assertion that we are a country that respects the rule of law when he rebutted China on the Huawei fandango. Keep your Opinions sharp and informed. Get the Opinion newsletter. From the Comments is designed to highlight interesting and thoughtful contributions from our readers. Some comments have been edited for clarity. Everyone can read the comments but only subscribers will be able to contribute. Thank you to everyone furthering debate across our site.